Die legendären UK Rocker ARENA widmen die Single "Poisoned" geliebten Menschen, welche man an schwere Krankheiten und insbesondere Krebs verloren hat. Mit der social Media Kampagne unter dem #arenapoisoned wollen sie Aufmerksamkeit, Trost und Hoffnung verbreiten. "Bombast and big ideas from neo-proggers on top form…’Double Vision’ proves the importance of quality over quantity." "Arena have released possibly the finest album of their career." "Fantastic and fantastical. [Of ] The six songs that form the majority of the album, “Poisoned” might be the best of them; somber, sad, lamenting, and teeming with angst." "The whole album is solid, and if you asked 7 different people what their favourite song is, you might get 7 different songs, which is the mark of a great album." Boasting an expansive, exploratory rock sound, British quintet Arena are releasing ‘Poisoned’, their first ever single in their 23-year career! Lauded as one of the most popular songs from their recently-released album ‘Double Vision’ (2018, Vergals Music), ‘Poisoned’ was penned by Arena in homage of loved ones lost to illness and (more specifically) to cancer. Amid the release of the reworked single version of the track, the band are calling fans, followers and newcomers alike to join them in a social media movement commemorating anyone lost to them who has represented an important part of their lives. Fans can join in with the #arenapoisoned campaign by posting on social media with a picture and name of someone important in their life who has passed on, using the hashtag #arenapoisoned. The band intend to collate the photographs and create a montage of the pictures in a forthcoming vinyl version of ‘Double Vision’ - something special for posterity that will immortalise the loved ones of Arena’s fanbase and extended community. Nine studio releases, five live albums and four DVDs...Arena is a band that defines the well-trodden concept of “standing the test of time”. 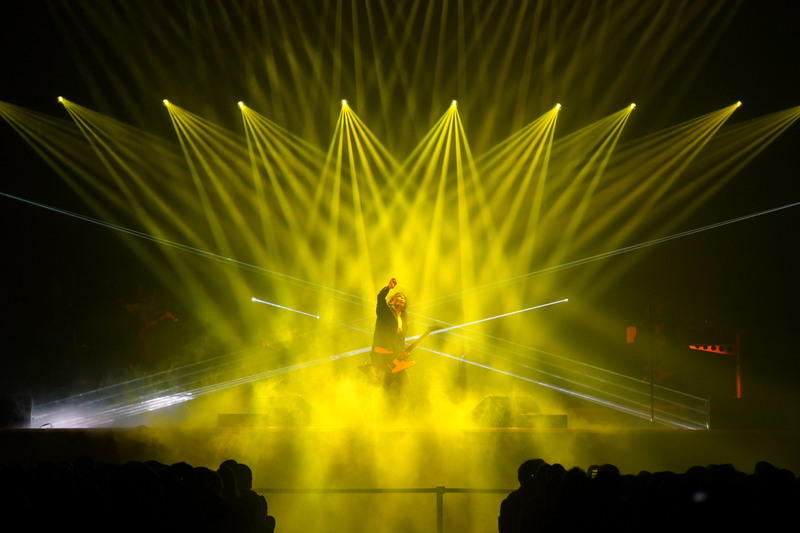 Founded in 1995 by Clive Nolan (Pendragon) and Mick Pointer (Marillion), Arena’s early years were peppered with numerous changes to the line-up. Yet even in the face of ever-changing circumstances, the arrival of ‘The Visitor’ in 1998 serves as the first of many bookmarks in Arena’s history. A concept album at its core, ‘The Visitor’ is considered a classic by the band’s loyal fanbase, and Arena recently celebrated its 20th anniversary with the release of a remastered edition earlier this year. Arena’s live performance has seen the band tour and perform with a number of noteworthy acts. Shared festival stages with the likes of Status Quo and Ygnwie Malmsteen, a live tour with 80s rock band Saga and numerous headline tours have brought Arena’s expansive sound to many stages across the world. 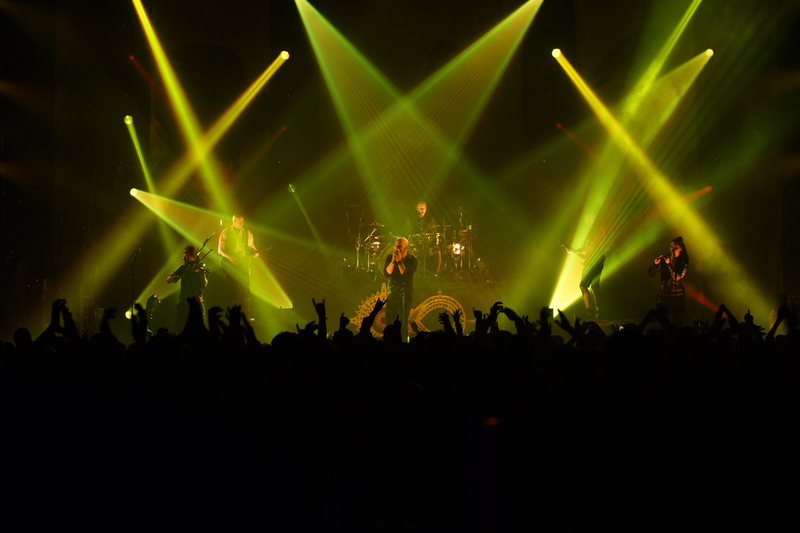 This year, the band’s highlight performance took place at Night of the Prog Festival at Loreley, Germany. 2018 also bore the release of the band’s latest full-length, ‘Double Vision’, which was well-received by the press and their fanbase. Despite a lengthy career, however, the band has never released a single...until now! Stay tuned for more on Arena!